Maine Homes and Angela want to see what you’ve been up to. Is there a room in your own home, or in a home you’ve worked on in Maine that you’re especially proud of? Do you or one of your clients have a home that’s gorgeous inside and out? Do you think Angela and Martha would agree? We can’t wait to see! Open to both industry professionals and non-professionals. 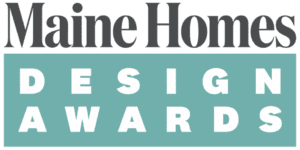 Go to the Maine Home Design Awards website for official rules, entry fees* and more details on how to enter. All photos must be taken in Maine. Need some inspiration? Visit our “Interiors” Pintrest board and see what others have done with our designs. Hurry, contest ends June 8, 2018! *A portion of the proceeds will be donated to the Maine chapters of Habitat for Humanity.